Livingwell Taekwondo Academy hosted its first club Dan promotion in December, which was headed by Master AzimRazak (7th Dan), Master Taylor Parkins (5th Dan), Master Billy Webb (5th Dan) and Monique Webber. It was an emotional and proud day for the club as two of the candidates were para’s – Marc Lynes and Alex Hutchings passing their 2nd and 1st Dan grades. 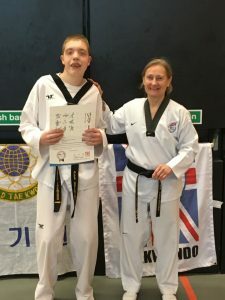 On his 18th Birthday, Alex became the first person in the world passing his black belt with his rare condition. We are very proud of Marc and Alex and as well as their coaches. 16 years ago Marc joined the Livingwell Taekwondo Academy, being taken along by his neighbour. Marc had lived in an environment of a loving family, but with a condition, ‘Full global Delay’. Marc found it difficult to have a normal social life amongst mainstream everyday activities. Upon starting Taekwondo Marc’s world changed – he made new friends, found new challenges and it presented a new beginning – he achieved things he had always been told he couldn’t do. During his first domestic competition, he stole the show with everyone in awe of his perseverance and tenacity. He has continued to work hard, and it has enabled him to travel with his team to competitions throughout the UK and now overseas. Marc has won national and international awards, with him gaining his 2nd Dan grading last year. 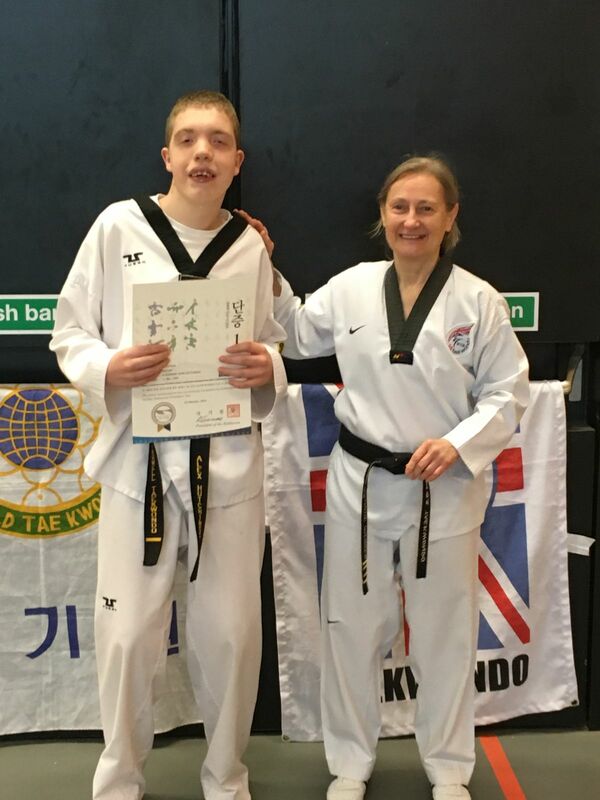 Alex in December 2017 became the first person in the world to attain a black belt in Taekwondo with his condition. 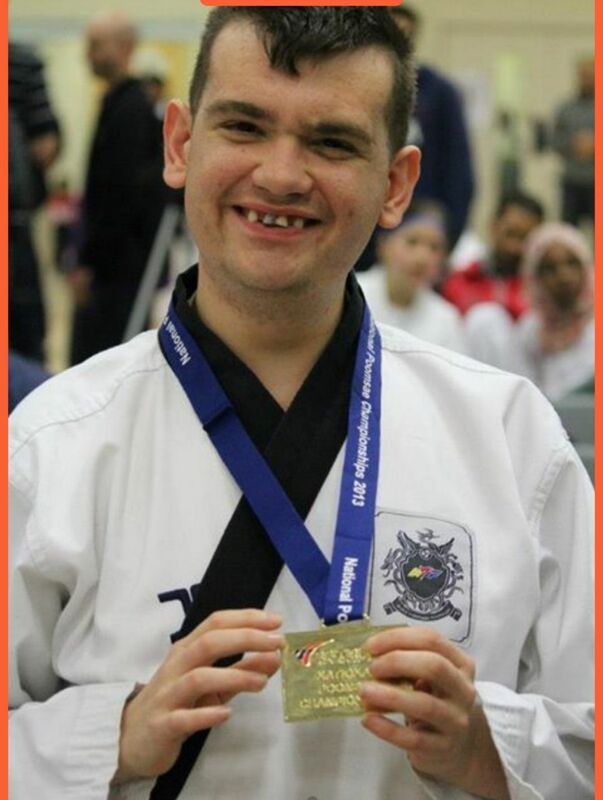 Alex had a rare condition known loosely as ‘Chromosome 16p 13.3 Deletion’ his parents were unsure if it would be beneficial for Alex to practice Taekwondo but in 2012 he started at Livingwell and had proved everyone wrong. Alex now successfully competes in para-poomsae domestically and internationally. Alex followed in his younger brother Joseph’s footsteps who is also a Black Belt. Alex and Marc had attended the same special needs school before them becoming teammates at Livingwell.